In 1976 they were the proud winners of ASIA STAR and 1978 proved to be another successful award winning year for them. The winning of the pinnacle of awards - THE WORLD STAR proved to be doubly prestigious, since the enterprise was then the first Indian company to have received this award. Mr.V.S. Paralikar holds the patent for this inventive technology in packaging. With a technical vision and a zeal to excel, the enterprise crusaded in diversification in another foray and this time it was the successful launching of the highly technical and innovative product range in the area of energy conservation systems and the range of Heat Pipes. 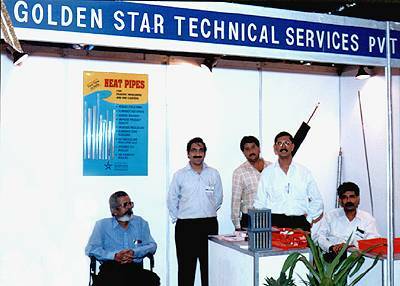 The activities started under a proprietary concern in the name of Golden Star Technical Services in 1993. 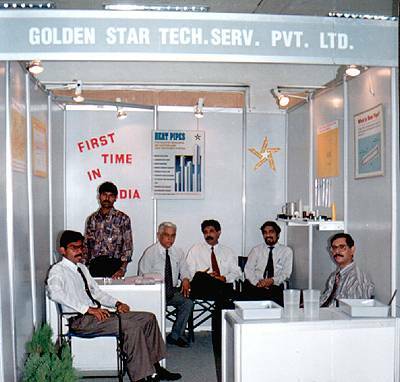 The growing size of the company resulted in floating of a Private Limited company viz “M/s Golden Star Technical Services Pvt Ltd. in 1995, thereby introducing two highly educated and experienced Directors. One of whom has an experience of 20 years in Plastic Industry and another a Doctorate in Chemical Engineering with rich experience to his credit. The sound business acumen of Mr.V.S.Paralikar led the company to go professional thereby appointing trained Engineers and staff members. The Company has a state of the art manufacturing facility at their Pune MIDC factory and an efficient Sales Office in Thane City, near Mumbai. The Company is involved in the development of Heat Pipes for Plastic & Die Casting Industries. Our products range from Tubular Heat Pipes, Angular Heat Pipes, Cooling Sachets, Heat Pipes with baffle, Stepped Heat Pipes, Finned Heat Pipes available in standard as well as customized sizes. Most of the leading Plastic Processors, Mould Makers in India use our Heat Pipes for achieving better results. We export Heat Pipes to Germany, UAE, Sri Lanka etc. Another range of products on our list are Heat Recovery Systems. The HRS is instrumental in recovering heat from exhaust of Boilers, Ovens, Furnaces etc. resulting in the conservation of energy to the tune of 65% thus enhancing the prevention of energy losses to a great extent.